There’s no question that Romney’s strategists must have been disappointed by a vanishingly small post-convention bounce. After all, no modern candidate has won the presidency without taking a lead after his convention, and it wasn’t clear that this particular three day infomercial yielded any gains at all, let alone take a discernible lead. But the race had been unusually stable and Boston could justifiably have hoped that its non-bounce was the result of structural factors like deep polarization, rather than the reluctance of a majority of voters to vote against Obama, or the limits of their own candidate. Two days after the conclusion of the Democratic National Convention, Boston’s cause for hope is dissolving. While the final tally won’t be clear for a few days, initial signs point toward a clear bounce for Obama and conceivably a large one—large enough to call Obama a very clear favorite heading into the heart of the general election campaign. Over the last few days, all three trackers (whatever their flaws) have lurched decidedly toward Obama. 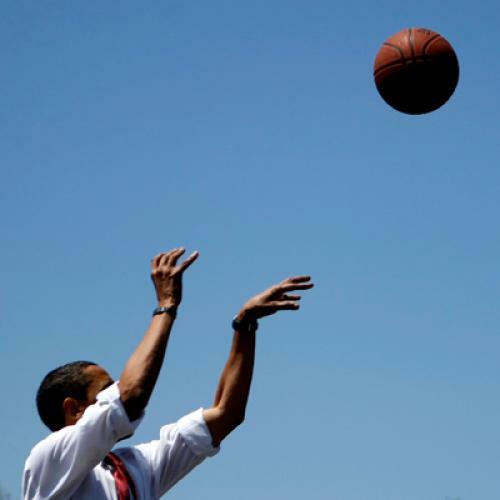 The size of Obama’s bounce isn’t yet clear, since it depends on the baseline and it’s still early. This is especially important for Gallup, which uses a seven day tracking poll. As a result, much of its sample doesn't reflect the Democratic Convention and an even smaller share of its respondents were polled after the entire convention. But no matter how you look at it, Obama looks like he has a bounce of at least 3 or 4 points, and potentially more. Rasmussen and Reuters, two trackers including a more recent window of responses than Gallup, could point to a bounce as high as six points. And Obama’s approval rating surged to 52 percent in yesterday's Gallup approval tracker, which has a shorter three day window than the Gallup head to head poll. On balance, these factors suggest that Obama led by seven points--or even more--over the last few nights of polling, which would give Obama a bounce of about six points if it held over an entire polling sample. If any additional confirmation was necessary, PPP is trumpeting the results of their polling in Ohio, which apparently shows Obama winning by a larger margin than he did in 2008. Of course, Obama’s bounce is hardly assured to last, since memories of the primetime speakers are fading as we speak. Historically, a candidate's lead in post-convention polling tends to overstate their advantage, so it would be best to wait a couple weeks before concluding that Obama has opened up a decisive lead. But while it isn't yet prudent to definitely judge the effects of the DNC, the post-convention period is one of the few instances when it’s worth scouring early returns. Analysts spend most of their time overstating the importance of campaign events, but conventions really can live up to the “game change” billing. In 2004, Bush led in just 9 of the 47 national polls conducted after July 1st and prior to the RNC. He trailed in just 7 of the 87 polls conducted after the RNC. Bill Clinton trailed before the DNC, but he never relinquished the lead afterward. It turns out that there is a decent relationship between the polls the incumbent’s share of the vote following their convention and the outcome (if someone with a better database of ancient polling is out there, it’d be interesting to see this tested on a more comprehensive data set than the Gallup poll). Since big bounces can be transient, it is most instructive to consider both the post-convention margin and an incumbent’s share of the vote. Yes, Carter led after his convention in 1980, but it should have been telling that he was only in the low-forties. Similarly, Bush’s 6 point lead wasn’t massive by historical standards, but he nudged right up to fifty percent, demonstrating that a majority of voters were indeed prepared to reelect the president, despite ironclad pronouncements about the behavior of undecided voters. Will Obama approach fifty percent? We won’t know until a larger set of pollsters weigh-in, but Obama currently holds 49 percent in both Rasmussen and Gallup. If Obama does approach fifty percent, it would repudiate the conventional wisdom that undecided voters are unwilling to reelect the president, and make Obama a heavy favorite for reelection, even if he falls beneath fifty percent as the post-DNC bounce fades. Given the stability of the race to date, Romney's odds would be very long. But Obama would still be a clear favorite even with a somewhat more modest bounce that still provided him with a clear lead. Since it’s clear Obama’s has the higher floor, Romney's in quite a bit of trouble if it turns out that many of the remaining voters are an easier sell on Obama. Perhaps this is why no candidate has won the White House without taking a lead after their convention.